I was visiting with my grandfather one day and mentioned that I planned on buying a new Mustang Cobra. He told me that a friend of his just got a new Saleen Mustang and had it supercharged and now he was selling it. He asked me if I would be interested in buying it. Of course I was! To check out some of the races I've been in, click here. Chose a section below to learn more about my car. 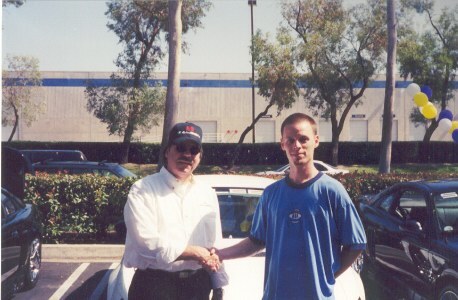 Me and Steve Saleen at the annual Saleen Car Show at their headquarters in Irvine, CA.